Mazda's baby 4x4 | What Car? Mazda will unveil a small 4x4 at the Moscow motor show in August. The car, which will be smaller than the current CX-7, is styled in Mazda's Nagare design theme, which has previously been seen on the Nagare, Ryuga, Furai, Taiki and Hakaze concept cars. 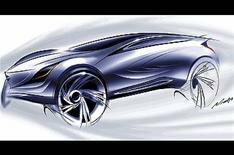 Although the show car is a concept, it is expected to go into production in a modified form. However, it has been designed specifically for the Russian market, which will become the biggest market for new cars in Europe next year, overtaking Germany. 4x4s have a 20% market share in Russia. As a result, it is unlikely to be sold in the UK.